This is Not a Werewolf Story, by Sandra Evans (book review) – spirit animal in the woods? A hidden lighthouse, a sadistic gym teacher, White Deer Woods where Raul just knows Mom is waiting for him – a little further from the sadness that weighed Dad down to the floor when she was gone, out into the freedom of being his wolf-self again, wondering about the missing Fresnel lens and why the new kid Vincent is nice to him. Happy book birthday to this self-discovery story! Visit the publisher’s page here and scroll down to read chapter one, as Raul meets the new kid and secrets begin to unfold. Have you ever felt like two beings at once? Book info: This Is Not a Werewolf Story / Sandra Evans. [author site] [publisher site] Review copy and cover image courtesy of the publisher. My book talk: It’s okay that Dad doesn’t come over from Seattle to pick up Raul for the weekends – more time to explore White Deer Woods near the boarding school and learn more about his mom who disappeared. Tuffman, the three-time Olympian who now teaches PE at this small school for kids with individual learning needs? He’s not okay, not ever! There’s a real white deer in the woods, and magic, Raul learns. Magic that lets him become his true wolf-self (no, not a werewolf! that’s movie make-believe) and run with the beautiful wolf who must be his mother. When a cougar is sighted in the woods, Dean Swift restricts students to the main building – but how can Raul stay away? The abandoned lighthouse where his change-magic happens – where did its giant lens go? Mary Anne, Sparrow, new kid Vincent, even Mean Jack are on his side – but can he escape Tuffman’s torment? May knew in her gut that the fish-nibbled body found with Libby’s ID wasn’t her best friend, the other outsider who’d drawn Princess X to go with May’s stories from grade school onward. 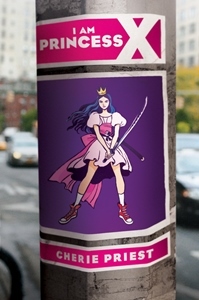 Nightmares for 3 years, then a shiny new Princess X sticker shows up near their favorite coffee shop – you can start reading their story in a free excerpt. Here’s the comic that sprang from the world that the two friends created in younger years, but it’s only part of this mystery/missing my best friend story. Have you got the guts to search for the lost keys that could bring your friend back from wherever? Book info: I Am Princess X / Cherie Priest, art by Kali Ciesemier. Arthur A. Levine Books, 2015. [author site] [artist site] [publisher site] Review copy and cover image courtesy of the publisher. My book talk: New Princess X art is appearing after its artist was declared dead, so co-creator May is on the hunt, trying to find Libby using webcomic clues and neighbor dude’s tech skills before “The Needle Man” finds them! Her best friend and comic co-creator supposedly died 3 years ago, but through her parents’ divorce and moving yet again, May still dreams that Libby escaped the sinking car. In Seattle with her dad for the summer, the teen is surprised to see Princess X stickers and graffiti in places where she and Libby hung out. Sure that Libby is drawing Princess X again online, May asks tech whiz Patrick to help her uncover exactly who is behind the webcomic, but his research alerts a dangerous predator. Is Libby truly alive and sending Princess X messages to May? Can May and Patrick interpret and follow the clues in the comic? Can they outrun “The Needle Man” before he kills again? Geography of You and Me, by Jennifer E. Smith (book review) – postcards from the road? but having just met, they must travel in opposite directions! This long-distance “wondering what if?” story should be at your local library or independent bookstore – if not, ask for it! Jennifer also wrote The Statistical Probability of Falling in Love (my no-spoiler recommendation here). Read the first chapter here (thank you, Poppy Books!) for the stuck-in-elevator meeting that starts it all. Surprise someone by sending them a postcard today! 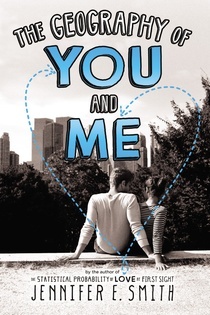 Book info: The Geography of You and Me / Jennifer E. Smith. Little Brown Books for Young Readers, 2014 (hardcover); Poppy Books, 2015 (paperback). [author site] [publisher site] Review copy and cover image courtesy of the publisher. My book talk: Stranded in an elevator during a blackout before moving away from New York City, Owen and Lucy send postcards from places they travel and think of each other more and more. Owen wouldn’t even have been in the elevator if he and Dad hadn’t fled Pennsylvania after Mom died. Lucy had ridden this elevator for 16 years without getting stuck – why now, when her jetsetting parents are in Paris and her brothers away at college? Lucy’s dad accepts a position in Scotland, not exactly the London job that her British mom had hoped for. Owen’s dad decides that they should head west, find a job somewhere away from NYC where they cannot see the stars. Does absence truly make the heart grow fonder? Is “wish you were here?” ever enough? At a comic-con, he’ll be happy. Finally away at college, she’ll be overjoyed. When 13-year-old Clayton slips out of the QuizBowl team hotel for his first comic-con, Ana is terrified – if she loses track of him, their hyper-protective parents will disown her like they did when big sister stepped out of line. And when things go sour during their search for Clayton at WashingCon, Zak boggles at constants that could end and possibilities that arise- without cons in his life, what else would a certified geek do? 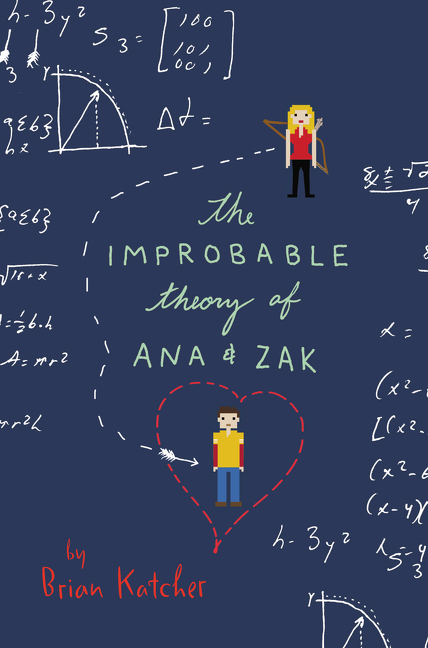 Happy book birthday to The Improbable Theory of Ana and Zak, your invitation to explore the world of comic-conventions, gaming, and love among geeks. For some how-to from the female perspective, try The Fangirl’s Guide to the Galaxy recommended here last week. So, be honest – Star Wars or Star Trek? Book info: The Improbable Theory of Ana and Zak / Brian Katcher. Katherine Tegen Books, 2015. [author site] [publisher site] Review copy and cover image courtesy of the publisher. My book talk: Chasing her little brother through a comic-con wasn’t on Ana’s list of ways to stay perfect, but with the help of cute slacker Zak, she may get the QuizBowl team back together before curfew… or maybe not. If no-effort Zak wants to graduate, he must serve as QuizBowl alternate during weekend of Seattle’s biggest comic convention, even though he’d already planned out every moment in geek paradise. If super-achiever Ana wants to please her parents and not get thrown out of the house like her big sister, she’s got to win this QuizBowl tournament, even though it’s no fun anymore. If her whiz-kid little brother Clayton wants to check out WashingCon because Zak said it was cool, he’s gonna go, because why not? The search for Clayton jumps from Ana’s world of well-rounded student activities to Zak’s universes of cosplay and card games to the death, as t-shirt slogans, a backpack mixup with deadly consequences, and the clock ticking down to QuizBowl curfew send them all racing through the night. Held captive all her life by her own mother, cigarette burned and hurt by mom’s ‘friends’ – how can Joy suddenly go to high school, or feel safe with a man in the same room, or let anyone get close to her? A powerful story that isn’t all ‘woe is me’ or suddenly happy forever, Joy relates her struggles with things most folks take for granted – learning to use a cellphone, going to a restaurant – as her aunt, uncle, and cousins help her as best they can. 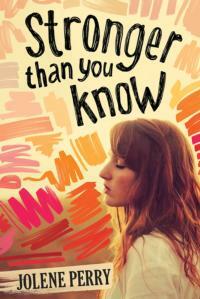 Book info: Stronger Than You Know / Jolene Perry. Albert Whitman Teen, 2014. [author site] [publisher site] Review copy and cover image courtesy of the publisher. My book talk: Rescued from a lifetime of abuse, fifteen year old Joy tries to move forward with her life with her aunt’s family, fighting the brokenness created by her own mother. Perhaps today, Joy can stay in the room with her uncle, who wants to protect her. Maybe soon, she’ll be able to hold hands with sweet Justin from history class. The Taking, by Kimberly Derting (book review) – aliens or the government: who’s the enemy? Kyra can’t remember anything about the past 5 years, except that flash of light. She’s stayed 16, everyone else has grown older – is that why the National Security Agency wants to take her away? Read the first chapters of The Taking here for free (gotta love publishers who do this!) and you’ll be itching to discover why Kyra was taken and what happens next. 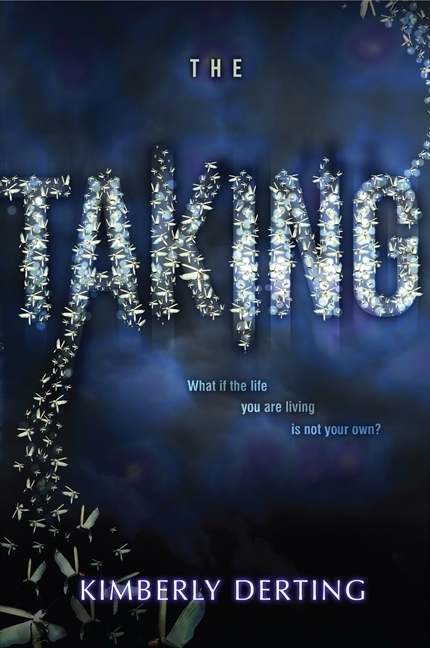 Book info: The Taking (The Taking, book 1) / Kimberly Derting. HarperTeen, 2014. [author site] [publisher site] Review copy and cover image courtesy of the publisher. My book talk: Returned to her hometown five years later but not one day older, Kyra struggles with changes in family and friends, but must flee when government agents try to imprison her. Her high school classmates are now in college, her parents divorced, her mom remarried (a baby brother? after all this time?). No one truly believes that she can’t remember anything about the time she was gone, no one except her dad and her boyfriend’s younger brother; Kyra has stayed 16 for five years and Tyler has finally caught up with her. The aliens took her memories, leaving her with super-fast reflexes, amazing strength, and ability to heal in mere moments – but did they leave her anything else? New guy in the small-town high school. Falling for everyday girl Harper? Swept off her feet, toward danger. Logan wants a fresh start to his life after the difficulties he and his brother had in their hometown. Harper’s life after her mom’s death had gotten quieter and quieter. Boom! Romance like a whirlwind, eerie vandalism, brother Daemon mocking Harper’s affection for Logan. If you sense a whiff of Robert Louis Stevenson’s novella The Strange Case of Dr. Jekyll and Mr. Hyde (read it free at Project Gutenberg here), you’ve found one inspiration for author Mandy Hubbard’s fast-moving story of Harper’s hope for happiness and the too-real peril she faces. Grab this one today at your local library or independent bookstore but do watch for strange happenings in your neighborhood, won’t you? My Recommendation: When handsome Logan Townsend moves to her small town, Harper is intrigued. When he asks her out, she’s amazed and delighted. When his twin brother threatens her, she doesn’t know what to think. But if she merely thinks instead of acting, it might just be too late. Bloody cow bones showing up in rural mailboxes, red handprints on every car in the school parking lot, stop signs stolen – this new rash of vandalism is getting dangerous. Harper has never really liked doing dangerous things, but after her mother’s death, her own father is like a ghost, going through the motions at their farm, without enough energy to warn her against trying reckless things that Logan loves to do. That four-wheeler rollover when a wheel fell off was just an accident, right? Wondering what Daemon did at the twins’ former school to make them leave that town, Harper does some checking on Facebook and the newspaper, but comes up with more questions than answers. Why isn’t Logan tagged in any pictures with his former classmates? What did Daemon do that was hushed up so quickly in the media? Why does his twin want Harper to stay away from the creaking house that he shares with Logan? Echoes of Doctor Jekyll and Mister Hyde drift through this spooky tale, with a young woman’s safety and sanity depending on her reactions to the dangers she uncovers. (One of 6,000 books recommended on www.abookandahug.com) Review copy and cover image courtesy of the publisher.